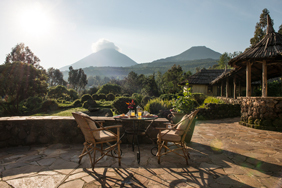 Volcanoes is the only African safari company to have built its own exclusive luxury safari lodges near a selection of the gorilla and chimpanzee parks of Uganda and Rwanda. 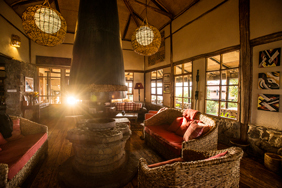 The Rwanda and Uganda safari lodges were conceived and built by Praveen Moman and a team of African builders led by James Ssemanda and Australian architects led by the late Ross Langdon. All of our luxury lodges in Africa are carefully built to echo local techniques and design, to fit in with the local area while providing the luxury accommodation that Volcanoes is renowned for. 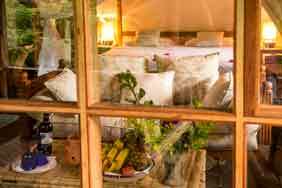 The unbelievable views, high standards of service and wide variety of activities available from each safari lodge makes Volcanoes Lodges all you could wish for on your African primate safari adventure. 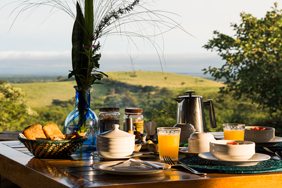 Contact Volcanoes Safaris to learn more about how our Uganda safaris and luxury lodges are supporting conservation activities in local communities.